I personally love love love kale! 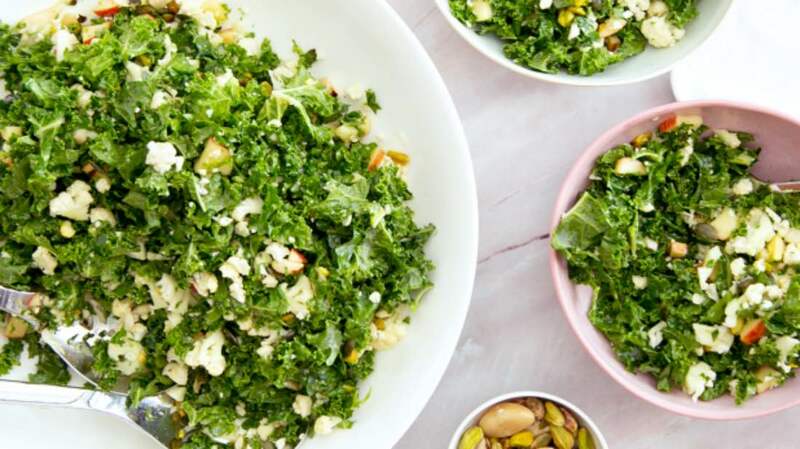 I do understand that due to it’s bitter taste this veggie is not everybody’s favourite but even if you don’t usually like it, I’m sure you are going to love this winter kale salad. 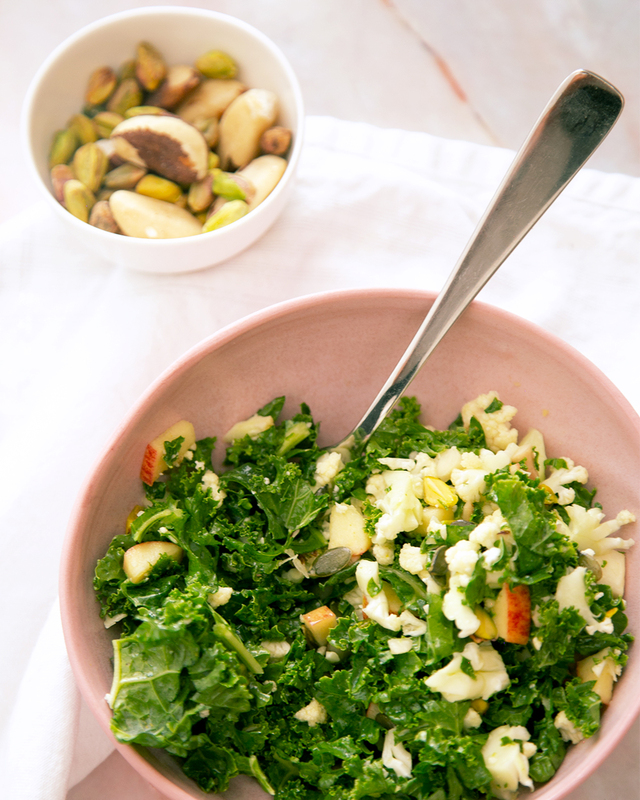 The trick is to chop the kale quite small and in combination with the nuts, seeds, apple and cauliflower, which are very fresh and mild in taste, kale is super delicious! Do you eat salad only in the summer or all year around? I personally can eat salad everyday, all year long. The fun thing about salads is that you can make them super interesting and adjust it to the season. 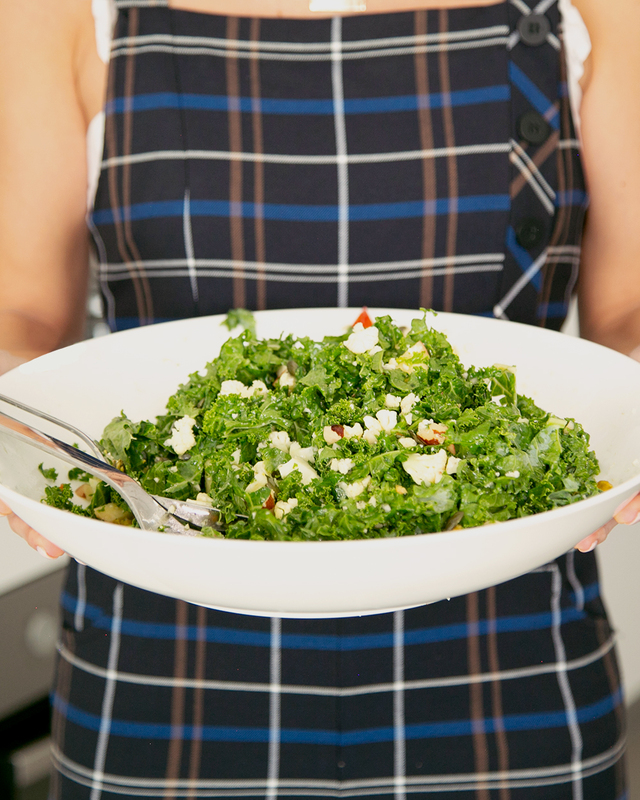 You surely shouldn’t miss out ok this years kale season with this amazing winter kale salad! 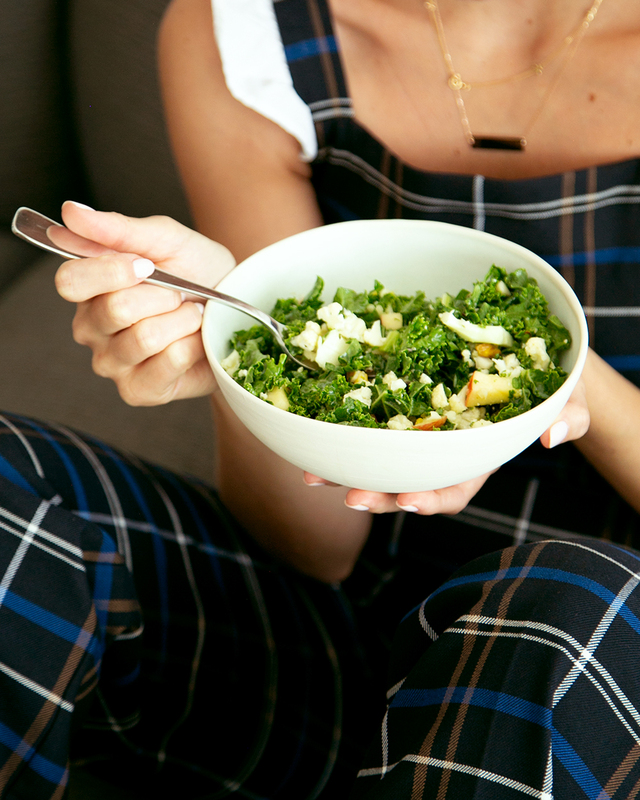 Wash and chop the kale and cauliflower and place into a large bowl. Cut the apple into small pieces and add to the salad with the pomegranate seeds and sunflower seeds. Chop the almonds and sprinkle on top. For the dressing, use just olive oil and salt or make my dressing. Add to the salad and mix well.